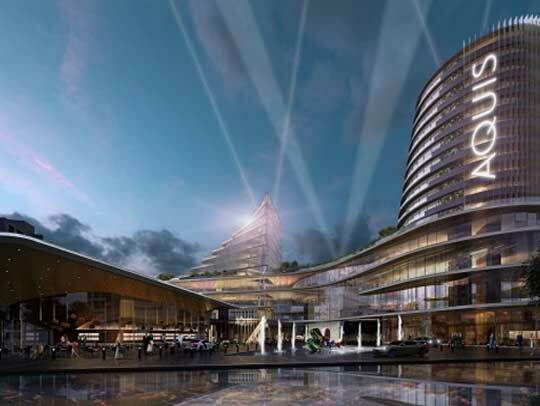 A multi-million dollar proposal to redevelop the Canberra Casino faces uncertainty as the ACT government has not made a decision yet on the matter. The issue was raised in a Cabinet meeting in August, but officials are still unsure what to do about the project. Hong Kong based gaming and leisure firm Aquis Entertainment announced plans to redevelop Canberra Casino in late 2015 but the company has not fared well in recent stock exchange figures, causing significant delay. While the government’s draft legislation on the deployment of pokie machines was in the works, Aquis stock price has dropped to two cents a share. The firm has since been going through challenges as Canberra Casino suffered $13.8 million in losses in 2017, while Jessica Mellor, the firm’s long-running managing director, resigned last month and Aquis has not yet found the right person to take over the role. The company failed to provide key financial information to the government which would supposedly bring the matter to a head. The government gave an initial April deadline for Aquis to submit relevant data, but it’s understood that deadline has now been extended. The ACT government will wait for financial data to be supplied from Aquis which will play a crucial role in the government’s final position on the $300 million casino project. Aquis initially proposed to install 500 pokie machines as part of the redevelopment phase but after a series of discussions, the firm settled to 200 pokie machines which was allowed by the government. New laws introduced last year require the casino to reduce its gaming machine licenses with one out of three existing licenses to be forfeited. If the casino decides to operate a maximum of 200 machines, 130 licenses could be taken out of circulation. This would make a significant difference according to ACT Gaming Minister Gordon Ramsay who confirmed that the government wants to reduce the number of authorizations by 980. The move is part of the ACT government’s commitment to prevent gambling addiction. The government’s goal is to cut the number of authorizations to 4000 by 2020. Operators of Canberra Casino are also advised by the government that future casino operations will go through two new independent processes established as part of the government’s new gaming regulations. The reform is aimed at protecting families and the Canberra community as a whole from the impacts of problem gambling. A spokeswoman for Chief Minister Andrew Barr said financial information and full details of the proposal will remain confidential until the government comes up with a resolution on the issue.